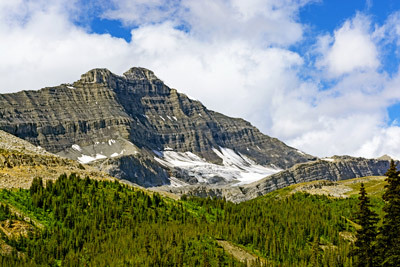 Canada is the second largest country geographically in the world after Russia and has a population of 34,834,841 people. There are two official languages – English and French. Canada is a federal nation with ten provinces and three territories. Climate varies from +30 degrees Celsius in the summer months, to -20 degrees Celsius in the winter months. Canadian nature is well known all over the world. Canadian, mountains, lakes, rivers, forests make people feel themselves like in a huge National Park. Bordering with USA and possessing valuable natural resources helps Canada to maintain its economics on a very high level. 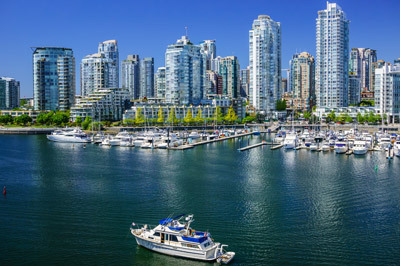 The main destinations for tourists are: Toronto, Ottawa, Vancouver, Quebec and Montreal. During the winter tourists can enjoy skiing on the stretching mountains. 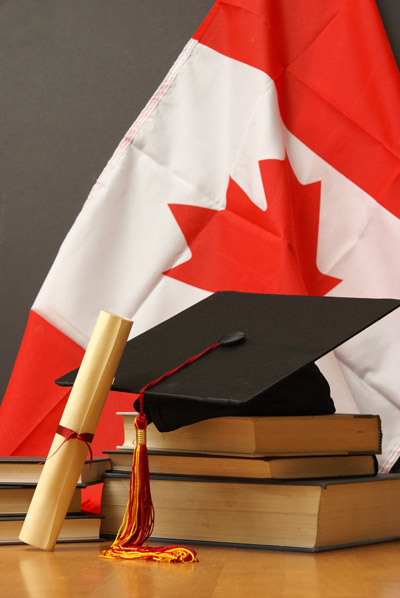 Canadian higher education system is recognized and respected worldwide. Canadian universities and colleges offer quality education with wide range of subjects to study. More than 130,000 international students come to Canada every year to get their undergraduate and graduate degrees. Academic year in Canada is divided into two terms and usually lasts 9 months. Canadian universities’ fees are lower compared with other countries, thus offers affordable and high quality education abroad. Canada is famous for its high-quality standards of living. International students can experience wonderful life in this multicultural, diverse and friendly country. As Canada is a bilingual country it can be a great chance for students to study and practice both English and French languages. Universities offer high standard campus facilities from libraries and sport halls to art galleries and huge concert halls. Outside the campus students can also find activities they are most interested in and spend time with native speakers. Canadian student visa is issued for the period of staying. If students are planning to attend 6 months course, student visa is not required. Canadian study permit allows international student to work part time on-campus or work off-campus as a part of obtaining program. Students can apply student permit online or through a paper application.